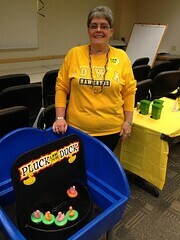 FACULTY/STAFF GIVING AT THE UNIVERSITY OF IOWA: WE ARE PHIL. Who is Phil? 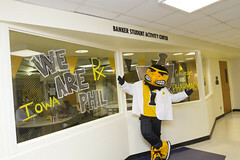 Phil is short for philanthropy, and at the UI, Phil is our nickname for everyone who donates to the university, as well as all those who benefit from private support. That means you are Phil too. Your participation is important. Each person who gives counts equally as ONE person who supports the UI’s mission. …even if you can only give a little. Imagine what we can accomplish at the UI if EVERYONE gives what they can! EACH year. Annual gifts from UI faculty and staff can provide a steady stream of support to sustain our innovative programs, push forward groundbreaking research, and empower our amazing students, faculty, and staff. ALL over campus. Private support makes an impact EVERYWHERE at the UI—and you can make a gift to support ANYTHING on campus YOU think is important. "When we work together as a unit we can get so much more accomplished"
"If you don't go, you don't know." "How are you helping to give back to the University?" "By supporting and giving to the UI we can nourish and empower college students to become an innovative and outstanding part of society." "We hope that every day of research will lead these amazing doctors to better results for future patients. With our gifts . . . we can carry on what Carolyn wanted to do." "We're all trying to chip in to help this big team, the University of Iowa." "Here at the university we all have many opportunities to be a part of philanthropy." 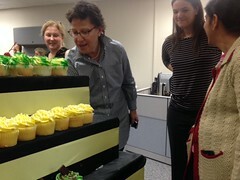 "Lives are changing at the University of Iowa." 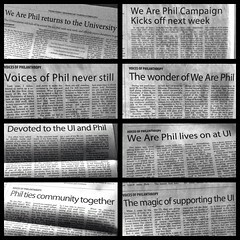 We Are Phil week is happening on the UI campus October 13-17, 2014--our second annual appeal! It’s never a bad time to be Phil, though… make a gift any time between now and June 30, 2015, to be included in this year’s participation count. Thank you! 12:30 PM College of Public Health - Dean, Phil and Phil-harmonics with a minute-to-win-it “defying gravity” and theme song/ CPH Building atrium. 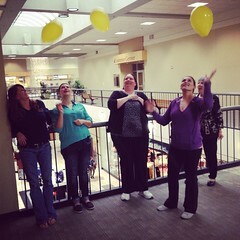 12:00 PM College of Public Health - Phil Show with name that tune and Phil-harmonics – in atrium. 12:00 PM College of Public Health - Minute-to-win-it "stack 'em"– 2rd floor. Trophy presented to winning department. 4:00 PM College of Public Health - Drawing for Cubs Press Box ticket and Hawkeye Football tickets.